Why I Prefer the Bitshares DEX over Poloniex, Bittrex, etc.steemCreated with Sketch. I have only been active in the world of crypto for 2 months as of today, but in that time have signed up and played around with Bittrex, Poloniex and the DEX. While the former two exchanges hold the most transaction volume of most popular coins and tokens, I still cannot for the life of me understand why people are putting up with those exchanges in favour of the DEX. I have experienced and been frustrated by asset freezes, lack of trading pairs, and a constant fear of an exchange going offline. As such I will be moving all my assets, and doing all my trading, through the DEX after the August one BTC freeze blows over. What follows is my reasoning, and why you should do the same. I have learnt a number of crypto lessons the hard way: I have sent crypto to the wrong address, given in to FOMO, tried to time the market with insufficient experience, and many other mistakes. Thing is, we learn from doing these things. There is one mistake you NEVER want to learn the hard way though, which is leaving your crypto on an exchange and having it close down on you, such as happened with Mt Gox. For those of you unaware, Mt. Gox was the world's largest Bitcoin exchange before suddenly goin offline - taking 850,000 BTC owned by its users with it. There is nothing stopping the same thing happening to Bittrex or Poloniex. If any are practicing fractional reserve banking (we have no idea if they are), then a run on the exchanges during a potential price drop in the coming BTC split could very well see them follow in the footsteps of Mt. Gox. The DEX cannot disappear with your assets, as it is decentralised all over the globe. As a result, there is no single point of failure that could take the exchange offline. More importantly, no single entity can actually take the exchange offline. As long as there are two computers still running full nodes for the DEX, the exchange will continue to exist. Have you ever gotten frustrated that to turn your USDT into BTS on Poloniex, you have to first convert everything to BTC? This is because Poloniex and Bittrex only offer a select few trading pairs, all centred around their 'key' coins. The DEX is asset agnostic - meaning I can offer to trade anything for anything. Of course, there still needs to be a buyer for the trading pair you want to use, but the potential is there. The benefits with this are significant. Not only are we not forced to trade through some key currencies (that are therefore more important on the exchange), but you only have to pay fees on a single transaction instead of two transactions to achieve the end result. While on Poloniex I am limited to storing value safely in USDT through the Tether platform, the DEX offers a vast array of pegged assets. Further, the DEX pegged assets are backed by twice their value in BTS, as opposed to a bank account operated by the Tether service which backs USDT. As a result, if Tether goes backrupt USDT will instantly drop to value of nill, while this cannot happen to the DEX pegged assets. The pegged assets on the DEX include classic investments such as precious metals, as well as other commodities and currencies. As a result, if the crypto market were to experience a sudden shift and I wanted to pull out my investment to relative safety I could do so on the exchange. On top of this, these pegged assets enable decentralised traditional investments into currencies and commodities on the DEX, previously done through bodies such as the Forex market. When you open your Bitshares wallet (through which the DEX is accessible) you are greeted with a screen giving an overview of the top markets. It is clean, crisp, and all the rest of the layout and design on the exchange follows this same design philosophy. There is no excessive content on the screen, and the user experience is trivial to customise to what best suits each individual person. As if you should need more convincing, the DEX was designed by @dan - one and the same developer who we also have the Steemit platform to thank for. He has since moved on to work on EOS, currently still in its ICO phase, but this platform you are interfacing with now bears testament to the excellence of his work. Further, the DEX is built on the Graphene blockchain. This is the third generation of blockchain technology, greatly surpassing the BTC and ETH chain technology. The Graphene blockchain technology is only limited in speed by the speed of light and the size of the planet, and is capable of handling 100,000 transactions per second. While the Bitcoin crowd is trying to bandaid its throughput, why not jump on board with the future that already exists? Thanks for your thoughts, dutch. I'm also a fairly new adopter of Bitshares and I am a believer. The comments made by the shark are valid and I'm sure many of us have factored some of them in our BTS decision process. For many of us, though - lending isn't a significant deciding factor as we're just trying to find our feet and survive in cryptoland. Further, I'd rather have a bug that can be internally rectified than a "bug out" where the coins evaporate into the ether. BTS HAS tanked along with most other cryptos. Margin ratios need to be adjusted and hopes and dreams get put on hold until the next wave of enthusiasm recognises the elegance of Bitshares.. what to do? That said, my SILVER:BTS remains just as stable in these horrid conditions as it was when I acquired it. Value conscious traders recognise that and bid accordingly. Bitshares truly presents price discovery. 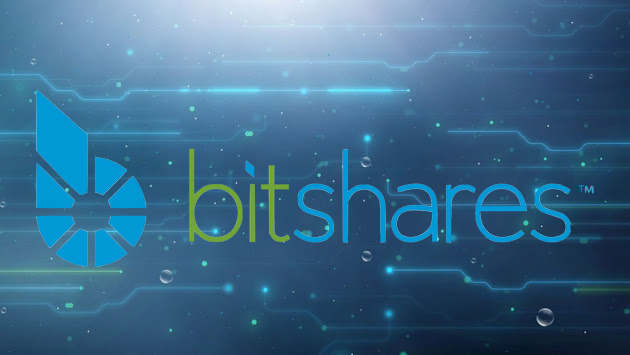 Of more immediate concern to some of us is the learning curve we undertake before we even begin to understand the power of Bitshares, let alone exploit the features available if we could only get our heads around them. I'll concede Polo and other market exchanges have easier to use tools, a hugely larger population of traders, and they make trading easy. However, there have been several times my assets have been unavailable to transfer or trade and I have had concerns of exchange viability. Also, using Coinigy.com and Coinmarketcap.com serve to fill in any spaces left unfilled by Bitshares. Thanks for your perspective - that was a really good read. Hopefully in the future we will see far greater adoption of the DEX and witness some of these improvements being realised. In the mean time, it is still where I feel my assets are safest. If I could trade using DEX on Coinigy, I'd be all in. However traders require professional tools in order to trade safely. Those tools are not available in DEX and without the Coinigy API integration, I would not dare trade. And thus, the reason we traders do not use DEX. Really interesting article. I have been around crypto for years but I haven't yet taken the plunge with bitshares. I think this has given me the inspiration to do so! Bitshares is hugely undervalued as it stands - a good investment as far as I am concerned. Given that the blockchain ties more BTS into collateral as more smart assets are bought, an increase in adoption of the DEX could very easily see $1 BTS realised by year's end. Very clear and useful. Thank you. I have never bought cryptos. I started my crypto journey by opening a Steemit account. Now I want to buy steem with usd, and I find myself in situations similar to the ones you describe. I have been trying to do this through TradeQwik. This exchange is also a DEX. After reading your post, I´ll visit the BS site and see if it is easier for me there. I am not finding the TQ process straightforward. Are Bitshares and TradeQwik related? I´d like to know your thoughts about TQ. Have you tried it? I only discovered TQ yesterday, and it is still very much an exchange in alpha/beta so use at your own risk. I'll definitely be keeping an eye on how it develops. You can load USD straight into the DEX, and otherwise you could buy USDT for USD through the Tether service. Then there is the 'traditional' option of buying BTC somewhere and transferring it onto the exchange of your choice. Thank you. I will look into the Tether service, which is totally new to me. I am scared about doing my first purchase of BTC using a credit card (the traditional way), because I there is a lot of talk about delays with BTC. Perhaps buying USDT would solve this. USDT is also totally new to me. It´s a complicated environment. Besides, I myself add complication to the process, because of privacy issues. If their bank assets are permanently frozen or seized, then the value of the USDT will drop to zero very fast. If you do buy into the market through Tether, make sure to convert your USDT to something else as soon as is practical. The Tether verification queue is colossal. I have been in their queue for over a month now, and at the current rate I will not be verified by the end of the year. In fact, my passport will expire before I reach the front of the queue, which means I get to start from scratch! Regarding privacy, Tether is very invasive, as are all other direct cash methods I am aware of. This is a requirement to prevent fraud and money laundering. The only way to get onto the market that maintains most of your privacy is buying BTC. "The only way to get onto the market that maintains most of your privacy is buying BTC"
What about buying another crypto using a credit card? Such as Etherium? Perhaps this way the current delays with BTC could be avoided. If it were possible, whidh alternate crypto to BTC would be best, in your opinion? I would guess buying ETH with your CC would also be relatively private, but have never looked into the platforms which offer that service. You mean which alternate crypto would be best to buy in with? I would probably load USD straight onto the DEX through CCDEK and then store value in bitUSD. Unfortunately, they require you to verify your identity. Being the problem the bridge between fiat and crypto, maybe the TQ concept becomes more interesting. I believe they first convert to VIVA, and use that as the main currency. And perhaps the first conversion to VIVA is done automatically, so to speak. You just send the currency to their bank account, and they deposit VIVA in you TQ account. This is just my speculation, I haven´t been able to do that yet. I´ll do a small transaction and see. We have to be really wary of irresponsible people. We hope poloniex does not happen so because if it happens to poloniex very much in pity very much to be loss. The loss is certainly very high. And negative impacts will arise everywhere. We hope that people who are more interested in poloniex of course can keep an eye on from an early on so that does not happen negati to its customers. The thing missing from the DEX is the ability to lend assets out to traders. Until this feature is added I think we are stuck with centralized exchanges. Also, the DEX does go down. It went down recently due to a bug. What happens if the price of BTS tanks? Are those assets still pegged? Sure, any software platform can go down due to a bug, but the DEX will not disappear on you and see the owners take off with your funds. From what I have read, if the price of an asset suddenly skyrockets relative to its BTS collateral, thus dropping the collateral ratio, the blockchain will automatically trigger margin calls. It takes the collateral, sells it to the market to buy back the asset and closes your contract by paying you the proceeds. I would love for anyone else to chip in on this one. Regarding lending, it would be nice, but I feel it is insignificant relative to the benefits offered by the DEX over other exchanges. I suppose keeping a small amount on the centralised exchange for lending would be possible but then if everyone did that the volume would decrease. Good point - hopefully it is added in the future. I still do not understand this part ... It seems interesting also your friends life. . Help us beginners steamit thanks. Goeie post heb wel Bitshares in me portfolio maar eingelijk nog nooit hun DEX bekeken. Ga me er even verder in verdiepen, leerzaam dit! Distributed exchanges are the next tech hurdle, but they are still evolving -- Bitshares, for example, cannot be fully realized without something likee EOS, which is why Dan Larimer moved on so readily. It is up to volunteers to develop the DEX now, which is high risk until leaders and devs emerge. They are hardly volunteers - work orders are voted on and development paid for. Interesting- I've used Kraken, ipayyou, Coinbase, bittrex, but not yet DEX. I'll have to check it out. I believe DEX refers to a digital exchange on blockchain technology. Is this right? I thought all of those you mentions would be DEXs. And also tradeqwik, which is the one I am trying to use, with no success so far. DEX is short for decentralised exchange. It is not the same as poloniex or bittrex which are centralised exchanges. Very thorough post about Bitshares DEX! I am also new to crypto and have learned some hard lessons through trial and error. It didn't take me long to find the Dex and to start trading there and moving my assets to more secure wallets. There are too many examples for centralised exchanges disappearing to keep my money on them. Shark mentioned lending as a missing option on the Dex. Lending is available on the Dex and I have made some small profits. Is it? I have not explored lending on the DEX, although I have been playing around with margin calling assets. Great post! I just found out about bitshares and I love it! I'm trying to buy some bitSILVER but it seems like it's going to take forever and when I look at the trade expiration date, it says the trade will expire 8/8/2022! Do trades typically take a long time? It depends entirely on both the trade volume, and the price you are trying to buy or sell for. If there is an existing bitSILVER sell offer, for example, you could make the trade instantly by filling that offer at the price set by the seller. DEXs are absolutely the future. It is only a matter of time that they will become more popular and eventually see more liquidity. At the same time Centralised Exchanges are more user friendly yet their security is easily compromised with a central point of failure, which most investors and coiners find out the hard way. Your information is a great testimonial for DEXs. We at blockbasis also advocate and encourage DEX use. We are part of the growing DEX movement, but instead of limiting to exchanging we are adding a service layer on top that makes it easy for users to transfer cryptocurrency between each other simply using an email address. No more complicated public or private keys, just use email like you know from Paypal or similar services where you can transfer fiat currency. @Dutch Haha, Mechanical Engineers think alike! Bitshares is truly in a league of its own. The immense amount of potential this platform has is mind boggling and I can not wait to see this project show the world its massive wings.